Brand: Lorann Oils and Flavors L-3010 Units: 2 fl. oz. jar LorAnn's finest, pure vanilla extract uses only the best vanilla beans grown on the islands of Madagascar. It is recognized world-wide as the king of vanillas. Madagascar vanilla beans are aged to perfection on the vine to produce a rich, creamy, smooth flavor that blends beautifully with a variety of foods. 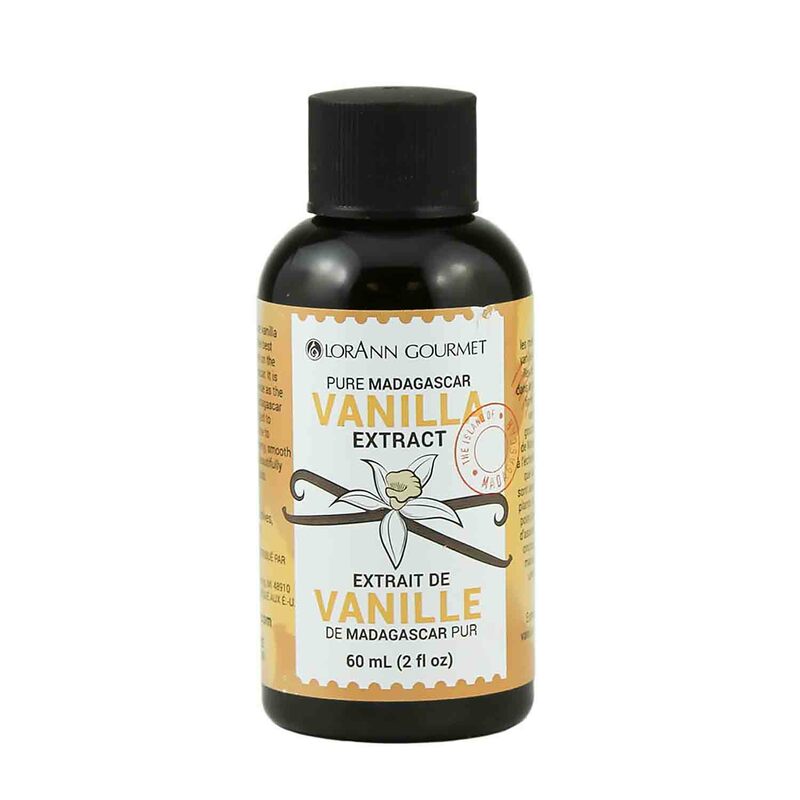 LorAnn's finest, pure vanilla extract uses only the best vanilla beans grown on the islands of Madagascar. It is recognized world-wide as the king of vanillas. Madagascar vanilla beans are aged to perfection on the vine to produce a rich, creamy, smooth flavor that blends beautifully with a variety of foods.